+ a video i made for becky foon’s “saltland” project. “A minimalist video diptych for Saltland’s contemplative track “ICA” from the gorgeously restrained debut album I Thought It Was Us But It Was All Of Us, with composer-cellist-vocalist Rebecca Foon filmed surreptitiously on a New York subway train in one frame while a Montréal winter cityscape captured from an airplane window unfolds in the other.” – from the constellation records site. AntiVJ presents: MUTEK 2009 from AntiVJ / Joanie on Vimeo. 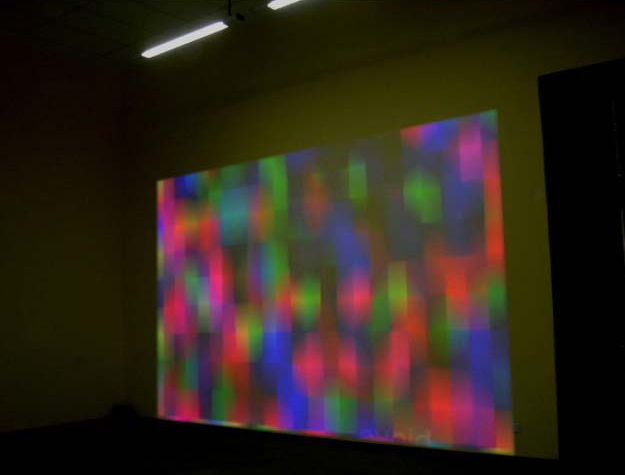 generated and transformed in an ongoing, realtime audiovisual process. introverted and extroverted callers together. – reblogged from rhizome.